Dremel 200 Series 1/8 in. Corded 2-Speed Rotary Tool Kit 0.9 are 120 volt 35000 rpm 15 pc. Dremel 3000 1/8 in. Corded Rotary Tool Kit 1.2 amps 120 volt 35000 rpm 24 pc. DeWalt Heavy Duty 1/4 and 1/8 in. Corded Cut-Out Tool 5 amps 30000 rpm 1 pc. Dremel 4000 1/8 in. Corded Rotary Tool Kit 1.6 are 120 volt 35000 rpm 30 pc. Dremel 1/8 in. Cordless Rotary Tool Kit 28000 rpm 18 pc. Dremel MultiPro 1/8 in. Cordless Rotary Tool Kit 7.4 volt 20000 rpm 15 pc. Milwaukee M12 1/4 and 1/8 in. Cordless Rotary Tool Kit 32000 rpm 1 pc. Dremel Velocity 7 amps Corded Oscillating Tool Kit 16000 opm Gray 11 pc. Gyros Tools Power Pro 1/8 in. Cordless Rotary Tool Kit 1.2 amps 35000 rpm 89 pc. Dremel 4300 1/8 in. Corded Rotary Tool Kit 1.8 amps 120 volt 35000 rpm 46 pc. A rotary tool is essential for minor repairs, DIY projects and big construction sites. No matter the task, these durable tools can help you complete your project quickly with the perfect cuts, buffs and polishes. 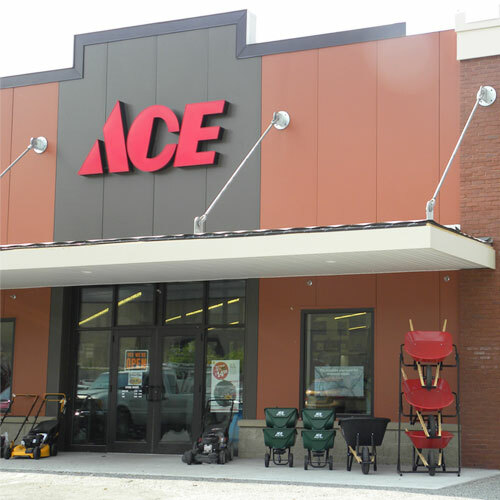 Shop Ace Hardware in-store or online to find the best rotary tool kit and accessories for your next job. Rotary tools can help you make clean cuts, sand, grind, buff and even polish tough materials like stone. With the right rotary cutting tool, you can complete any task efficiently. Cordless Rotary Tools: These tools are easier to use and transport than standard rotary tools. Most models offer long-lasting batteries that charge quickly so you can get through long days on the job easily. Heavy-Duty Rotary Cutting Tools: These cutting tools are great if you work in construction or deal with hard materials like metal. High-powered rotary tools make quick work of even the most difficult jobs. Helpful Hint: Add a mini rotary tool to your arsenal to tackle small jobs. These options are ideal for repairs in tight places, including sanding interior cabinets. Shop for a general purpose rotary tool kit that features attachments for cutting, sanding, grinding and buffing for at-home use. A basic rotary kit without specialized features will be more than enough for home repairs or minor renovation work. Match the brand of your tool kit to your rotary tool. For example, a Dremel rotary tool kit is an ideal match for a Dremel rotary tool, ensuring you work safely and effectively. Buy a large rotary tool kit that features unique tools like dressing accessories, aluminum oxide grinding stones, high-speed cutters and carbon steel brushes for big construction jobs. Large 140-piece to 180-piece kits ensure that you have everything you need for specialized tasks. A rotary tool and complete tool kit can help you make quick work of jobs at home or on the construction site. With the right tools at your disposal, cutting, sanding, grinding, buffing and polishing can be safe and efficient. Shop Ace today to find rotary tools, tool kits and other hand and power tools like routers to complete your next project.